Connecticut Background Check Experts – A.S.G. If you are in need of a Connecticut background check and/or pre-employment screening services, you came to the right place. ASG can provide you with a customized Connecticut background check that has been specifically designed to suit your information needs. From Bridgeport to New Haven, Stamford to Hartford, we deliver our background screening services to every city in Connecticut. Being home to three of America’s Top 25 Most Dangerous Cities – Bridgeport, New Haven and Hartford,means the odds are already against you. Going with experts in Connecticut background checks and employee screening is a step in the right direction and we urge you to call us today. Employee screening is the first and most critical step in protecting your business from making a bad hire. Information is power and A.S.G. gives you the power to make better decisions everyday.Information is power and ASG gives you the power to make better decisions everyday. We know that crime is more prevalent in areas with high income gaps and Connecticut has the starkest contrast between the rich and poor. This helps to explain the gang problem with the area. Bridgeport alone has at least15 different sets of gangs operating in it. You owe it to your employees to research the background of any and all new hires. We are experts in Connecticut background checks and employee screenings so you can rest easy knowing you took the safety of your people seriously. Here at Advanced Surveillance Group, we provide you with accurate information that has been developed by real investigators who know where to look for information and how to get results quickly. We are not a $ 29.99 wonder data search website that provides you with outdated and useless information. Call us anytime to discuss your case at (855) 997-2800. The truth is within your reach, and ASG can find it for you in an affordable, simple, and timely fashion. It is important to understand that the term “Connecticut background check” is a very generic one. Our staff of licensed private investigators here at ASG views background investigations much differently than our competitors. We provide our clients with custom tailored investigations in order to answer their specific questions. We know that useless fluff and outdated database information does little to help our clients understand their subject’s personal history. According to recent census data, there are over three and a half million citizens residing in the State of Connecticut. This population is certainly large enough to support a significant proportion of harmful persons. Persons visiting or residing in Connecticut tend to generate considerable trails of criminal, civil, and other records. Our experienced investigators at ASG are skilled in the art of utilizing various sources of information, and exposing the truth about your subject. 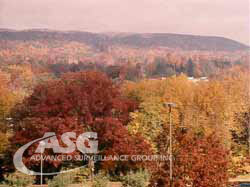 ASG now offers several unique Connecticut background checks in order to fulfill the various needs of our clients. Our investigators take into consideration the nature of each situation, and the concerns of the client when investigating a subject. Although this may seem complicated, our investigators are willing to work with you in order to make the background screening process simple and efficient. If you need to know the history surrounding a current or former Connecticut resident, ASG can provide you with a customized Connecticut background check that has been specifically designed to suit your needs. If you have concerns regarding a Connecticut resident, and need answers fast, we encourage you to contact us today in order to discuss your situation. Our investigators are here to explain the entire background screening process, and the types of results you can expect to see. The call is completely confidential.